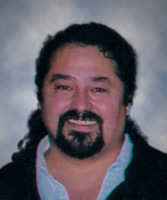 Provide comfort for the family of Gary "Bear" Boudreau with a meaningful gesture of sympathy. 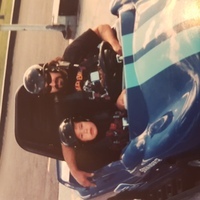 Gary “Bear” will be lovingly remembered and deeply missed by his daughter, Christina; son, Brandon (Alisha); son, Jesse; granddaughter Fatima; grandsons, Elliot and Christiano; mother, Juliette (Ken); brothers, Murray, Eric “Gus” and Rick (Audra); sister, Sherri (Rod); as well as numerous nieces, nephews, great-nieces; great-nephews, cousins and many great friends. 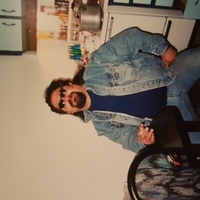 Gary “Bear” was predeceased by his father, Donat Boudreau; both grandfathers and both grandmothers, and close cousins. Everyone will remember Gary for his big contagious smile and huge heart that loved everyone, especially the ladies! We encourage you to share your most beloved memories of Gary "Bear" here, so that the family and other loved ones can always see it. You can upload cherished photographs, or share your favorite stories, and can even comment on those shared by others. 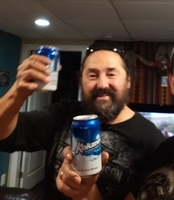 To my big bear cousin Gary ....proof that life is too short....Gary you have gone way too soon and you will be missed everyday forever....love your cousin Gail. On behalf of the Taha family we send our deepest condolences and sympathy to the Boudreau family, rest in peace my brother we will miss you. It is with sadness and shock that we hear the passing of Gary Bear Boudreau our heartfelt condolences go out to the Boudreau family on behalf of the Nault family and friends from Elmwood in Winnipeg. Rest in peace Gary you will never be forgotten.